Rico Wojtulewicz, Head of Housing and Planning Policy at the HBA, asks if we are building the kind of affordable housing the country requires. The Government has released its affordable housing statistics, showing that 47,355 affordable homes were built in England in 2017/18, marking a 12% increase on 2016/17. With councils expected to build more than 20,000 homes over the next three years, the Government seems to be making headway in fixing the broken housing market. However, while more affordable and council housing is welcome, questions have been raised about what sort of affordable housing we are really getting. The National Planning Policy Framework (NPPF) defines affordable housing as affordable rent, a starter home, discounted market housing (e.g. 20% below market value) or another home ownership route (e.g. shared ownership or rent to buy). This broad definition gives councils some flexibility in how they work with developers to get affordable homes built, but there are serious questions of whether the definition is actually stopping local authorities from enabling the right type of housing. This is because each council has its own definition of what is affordable, especially when using the 20% below market value approach. In Scunthorpe, a new four-bedroom detached home selling at £250,000 is already affordable. 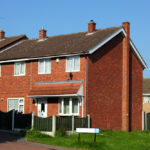 Instead of working with councils to deliver more self-build, retirement living or community housing, they are required to meet the national guidance on affordable housing contributions. This means that councils looking for a more tailored local approach are hamstrung by national policy, even if they have meticulously worked with the local community to deliver what it wants. The Government has a chance to reassess its approach through the consultation on developer contributions reform, which closed at the end of January 2019. With so many chances missed to get the right homes built in the right places, many industry stakeholders are rightly questioning whether this Government knows what this housing crisis means to those in need of housing.